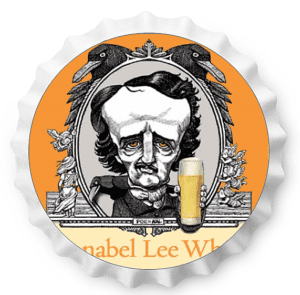 Annabel Lee White. A Belgian style “wit” (white) beer that will cool you off on a hot summer’ s day (or any other time). Light effervescent, refreshing and tart. Refreshing with slight citrus, coriander & sour orange peel notes.